Heat oven to 350°F. Grease 8- or 9-inch square pan. In medium bowl, mix 1 cup flour, the butter and powdered sugar with spoon until flour is moistened. Press mixture in pan. Bake 10 minutes. In medium bowl, beat eggs. Stir in remaining ingredients. Spread over baked layer. Bake 25 to 30 minutes or until golden brown. Cool completely, about 30 minutes. For bars, cut into 6 rows by 5 rows. 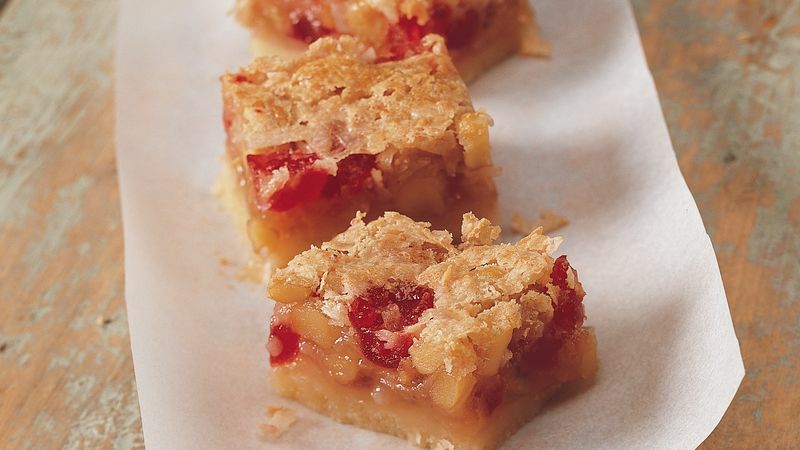 Cut the bars into mini squares for a dessert buffet.